It's been more than 50 years since Isamu Noguchi first captured the world's imagination with his Akari lights made from Shoji-paper and in dozens of shapes and sizes. Fast forward to the 21st century: Designers continue to inspire with innovative ideas, but many are also concerned with sourcing reclaimed or reusable materials. 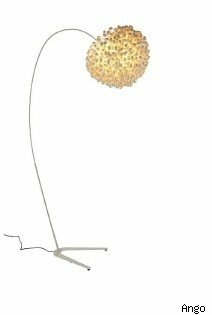 Graypants, the Seattle-based design team, showed some pendant and wall lamps at this year's International Contemporary Furniture Fair, held this week in New York. The Jupiter lamps (left) are made from recycled cardboard in a pattern that allows light to peep through and cast beautiful shadows on ceilings and walls. The three friends that make up Graypants are also trained architects and their background is evident in their designs. This year they're introducing steplights (pictured above), a metal lamp of aluminum and the pieces can be flat packed. Each piece has a groove that snaps into place to make the bowl-shaped metal shade. We can see the architectural influence and glad they're marrying their passions in this way. 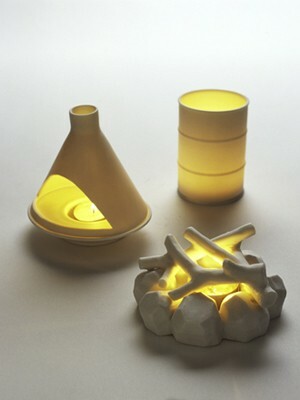 Thailand-based Ango also showed some truly beautiful lights that are modern takes on the Japanese paper lantern. 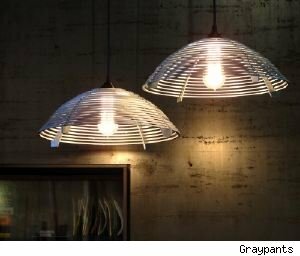 They're constructed with a metal base and a silk cocoon shade. We literally couldn't stop looking at this one called "Chrysalis Sky." Do you long for a camping getaway from your urban shoebox apartment? Brooklyn designer David Weeks wasn't displaying his wares at ICFF but had an offsite reception. He's come up with votives that reference the summer pastime. The votives are made of porcelain and come with an LED candle. Standard tea lights also work to create a mini fire. They're priced at a cool $18-$20. 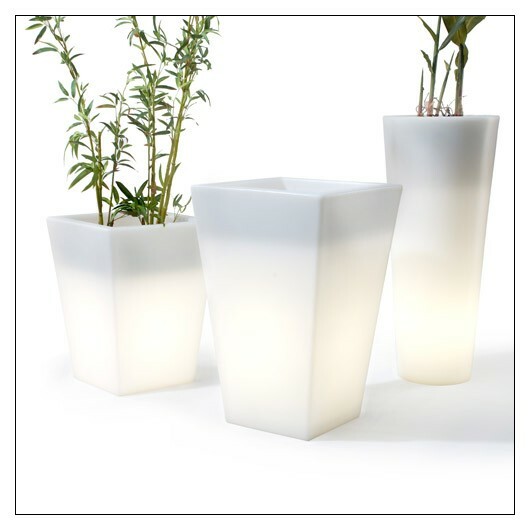 And furniture manufacturer Offi brings artificial lighting to the outdoors with its Hugo Pot. It's part planter, part light. The body is made of molded plastic that covers a replaceable and energy-efficient compact fluorescent lamp. We like folks who give us light where it's least expected.